Everyone needs a to do app, especially when we are making a new project in a new language or framework. I think I have 100 of these in some form or other by now. 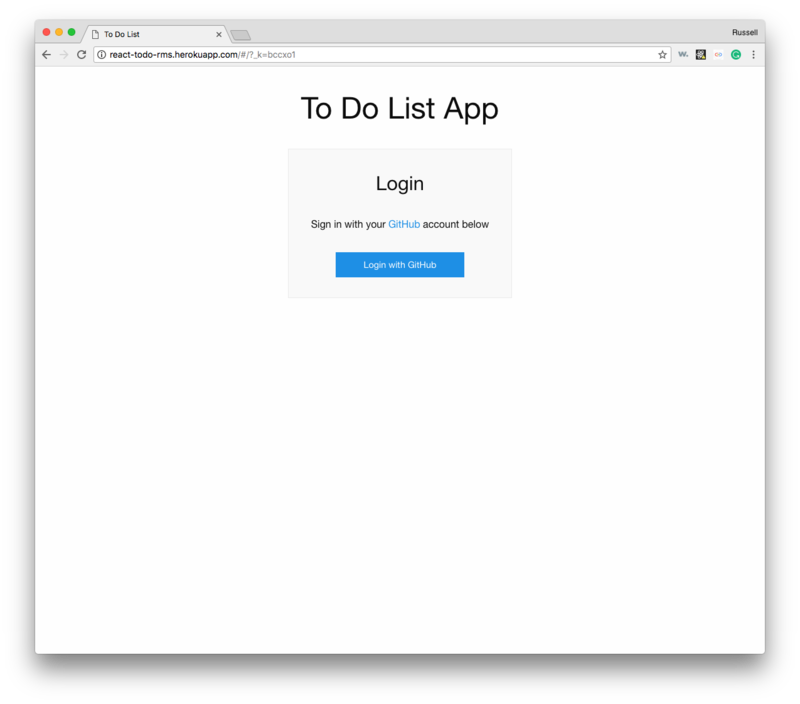 This To Do app is for elite hackers only, since you need a GitHub login. You can add and remove to-do items, they persist with your login, and overall, it works as advertised. Minimalist. As Deiter Rams said, "Less but better" and I followed that to a T here, with simple functional styling and not a drop shadow or rounded corner in sight.